See how the rock looks like the profile of a huge head? 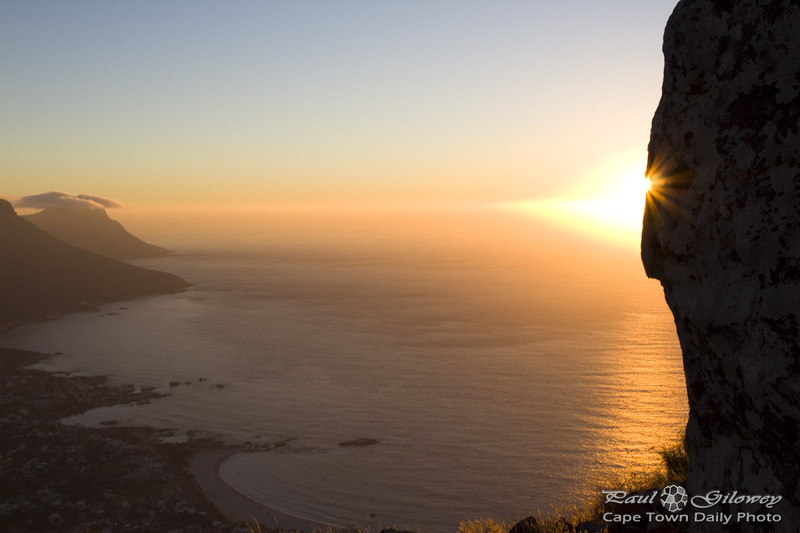 Can you see the wide-open mouth, the nose, and the eyes that appear to be shooting a fiery beam across Camps Bay and towards Llandudno and Hout Bay? Farewell 2012, and to all our readers, have a wonderful and joyous 2013! Posted in General on Monday, 31 December, 2012 by Paul. Thanks for a great year of photos! I look forward to the Cape Town daily photos for 2013, keep up the good work. Thanks Dieter – it’s a pleasure, I’m glad that you’ve enjoyed them!